Ask fellow campers about "Linder Point COE" and nearby attractions. Linder Point Campground has two sections. The full hook-ups have a concrete pad and are all close to the shower house. If you get electric only the sites are gravel (expect to do some leveling) but are about as spacious as it gets in a campground. 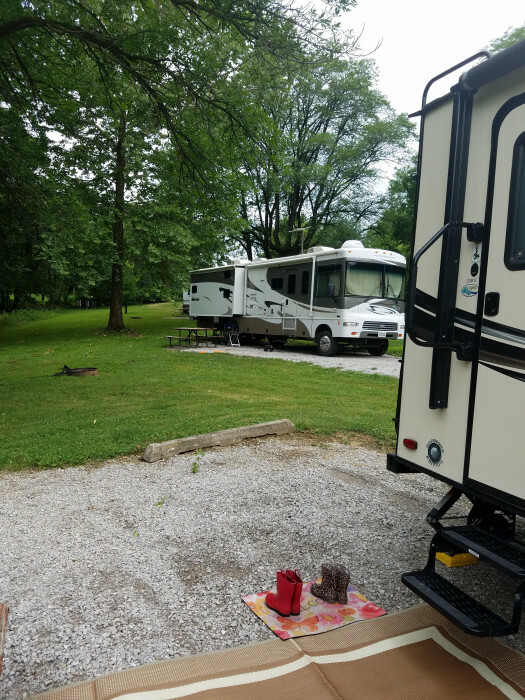 This campground is not as close to the beach as the West Overlook but is still within walking distance. When we camped here it was very quiet, great shower house and a first rate system of hiking trails. Bicycle trails are right down the road as well. Would definitely camp here again. 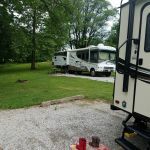 We camped at Linder Point COE in a Travel Trailer. We had a site in the Linder Point campground. It had a cement pad which was just large enough for our camper and the truck. The hookups were all okay and in the right place. We were right at the entrance but were not bothered by any traffic. Plenty of room for us to sit away from our neighbors. We had several OTA channels and access to our data carrier. Nice campground but there is a newer one along the river that seems much nicer. Would try and stay there on another visit. We camped at Linder Point COE in a Fifth Wheel. We went to West Branch for the Herbert Hoover NHS. Great history of our 31st President. Are you affiliated with Linder Point COE ?